Every year in the months of June and July, Indian taxpayers would be rushing to file their Income Tax Returns. A common mistake which many taxpayers do is not declaring the interest earned on Fixed Deposits. This is partly due to the belief that a sum of ₹10,000 or lesser is not taxable. 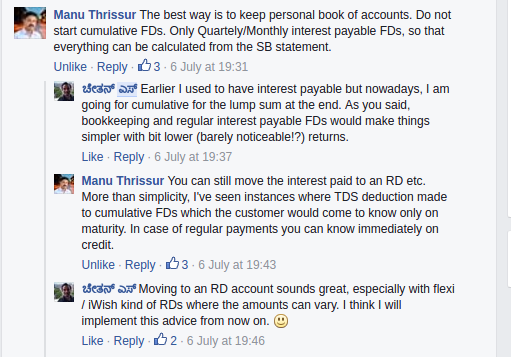 Also, banks do not deduct TDS when they don't expect interest income to go beyond ₹10,000 in a financial year. However, that is not true. Only interest up to ₹10,000 earned on SB (Savings Bank) account is exempt from income tax. The total amount earned needs to be mentioned in Section 80TTA. The exempt amount would be computed by the system / offline utility. Every rupee of interest earned on FD (Fixed Deposits) and RD / CD (Recurring / Cumulative Deposits) is taxable as per a person's income tax slab. 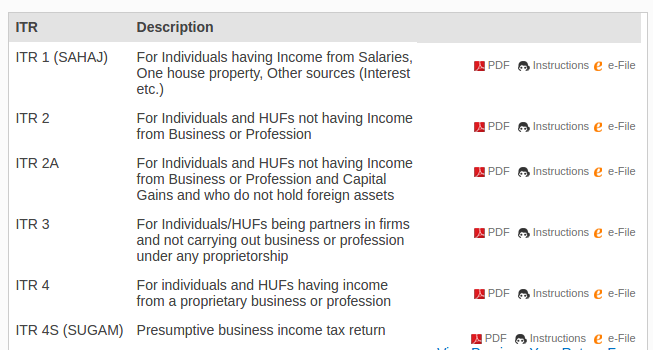 All income earned through these instruments needs to be declared under the heading 'Income from Other Sources'. However, for some banks, interest certificates are not available online or you might be living in a different city. You can visit them to request a certificate but you may have to visit again to collect it. In such cases, manual computations might be necessary and that's easier than multiple visits to the bank branch. All banks allow downloading statements in Excel format (as .xls or comma separated .csv files). With some data filtering or a manual examination, you will be able to find interest credits for both Savings and Fixed Deposits (when you have specified interest payment intervals as quarterly, half-yearly etc.). Typically interest credits happen on credits on 30 June, Sep, 31 Dec, March. You can then tabulate all your interest income from different banks in a spreadsheet and arrive the numbers. Reconciliation against Form 26AS is recommended. User-friendly websites like ClearTax [Referral Link] which allow uploading Form-16 provided by the employer and take care of the majority of calculations. You just need to verify the numbers. The best part is self e-filing is 100% free at ClearTax! This approach is highly recommended if you are filing your returns for the first time or are using complex forms like ITR-2 which can be intimidating at first glance. ClearTax and other similar websites also offer paid services like CA assisted filing. You will have to enter the details you computed manually in the appropriate fields. Same holds good for other filing modes too. Banks deduct TDS at a standard rate of 10% but you are obliged to pay taxes at your slab. ClearTax [Referral Link] or the IT E-Filing Website would be suggesting the pending amount and you need to follow the instructions to pay the amount via Challan 280. After filing the ITR don't forget to E-Verify it. More about how to E-Verify.